A faster, more secure Internet Browser – based on Mozilla Firefox. 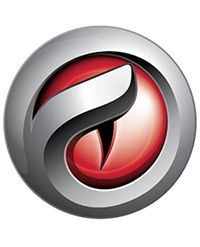 In an attempt to meet the different requirements of users we’re happy to announce the release of the new Comodo IceDragon browser. The browser is built on the Mozilla browser core and combines the basic functionalities of the original code with the Comodo security features. In this release we have included the basic security features such as Comodo Secure DNS and Site Inspector. The Site inspector functionality has been extended to allow users to scan a link in Site Inspector from the context menu. Realizing the importance of social interactions through various social networks, the social media feature has been integrated in Comodo IceDragon allowing users to share links on several social networks. IceDragon combines these features with a sleek interface, providing a seamless browsing experience. Because this is a Firefox-based browser you can continue to use all of the browser extensions that you have become used to over the years. Changes in : various new features and bug fixes.